The state of New York recently announced nearly $25 million in water infrastructure grants would be distributed to North Country communities for 13 projects. New York’s Clean Water Infrastructure Improvement Act of 2017 allocated $2.5 billion to preserve water quality across the state. In early/mid?-November, Governor Andrew Cuomo’s announced $270 million in grants would be distributed statewide, including $24.6 million for projects in the North Country. The grants announced by the governor’s office are intended to fund clean and drinking water projects in Essex, Jefferson, Lewis, Clinton, Franklin and Hamilton counties. Advocates for local governments in New York and state lawmakers are calling on Governor Andrew Cuomo to include more funding for road and bridge repair in his annual budget. An aging drainage pipe near the Metro North station in Middletown collapsed over the weekend...and Hudson Valley bureau chief Susan Barnett reports that important funding for repairs all over the state is still uncertain. Most people in America enjoy the luxury of washing waste down the drain or flushing it away in a toilet. But once it leaves the home, office or school, where does it go? What happens to it? In the latest installment of our infrastructure series, WAMC’s Jim Levulis explores the complex wastewater treatment industry. 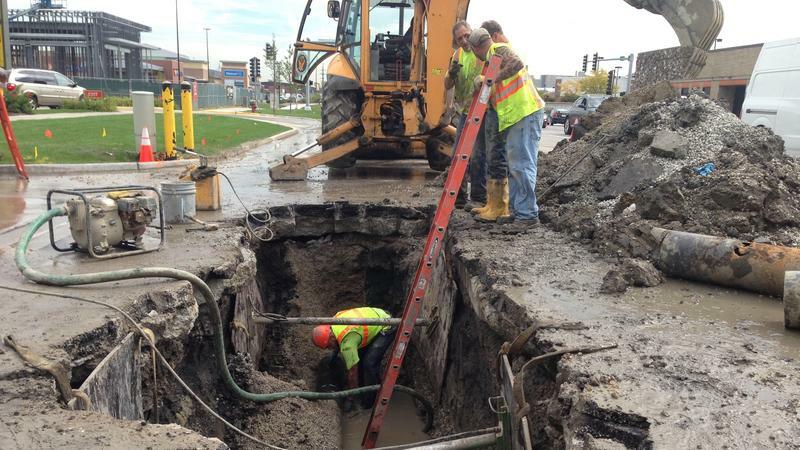 Communities across the country are grappling with aging infrastructure and limited funding to repair or replace critical water, road and utility lines. In the first part of our seven-day series on infrastructure, WAMC’s North Country Bureau Chief Pat Bradley looks at how two communities are working to upgrade antiquated water systems. We take drinking water for granted: most of us turn on our faucets expecting pure, clean water to come pouring out. In the latest installment of our infrastructure series, WAMC’s Capital Region Bureau Chief Dave Lucas reports on challenges to delivering that clean water.